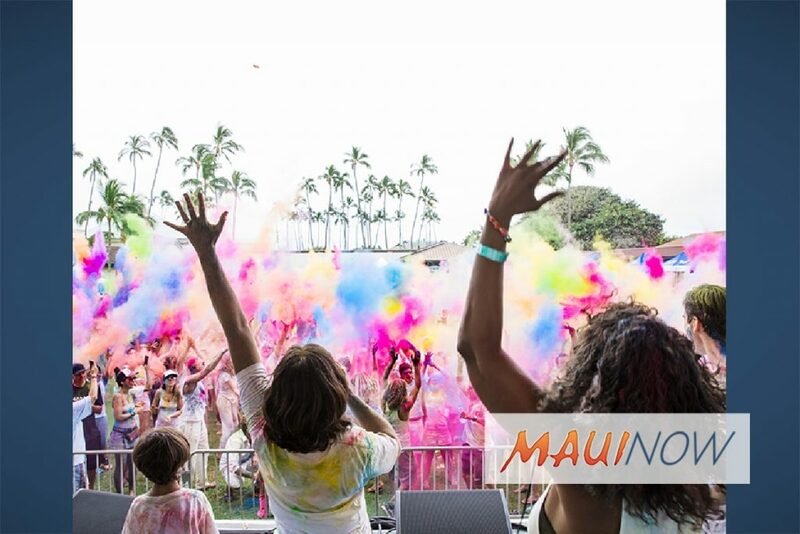 Imua Family Services will host the Color Festival Hawai‘i on Saturday April 13, 2019, from 1 to 6 p.m. at the Maui Arts and Cultural Center. 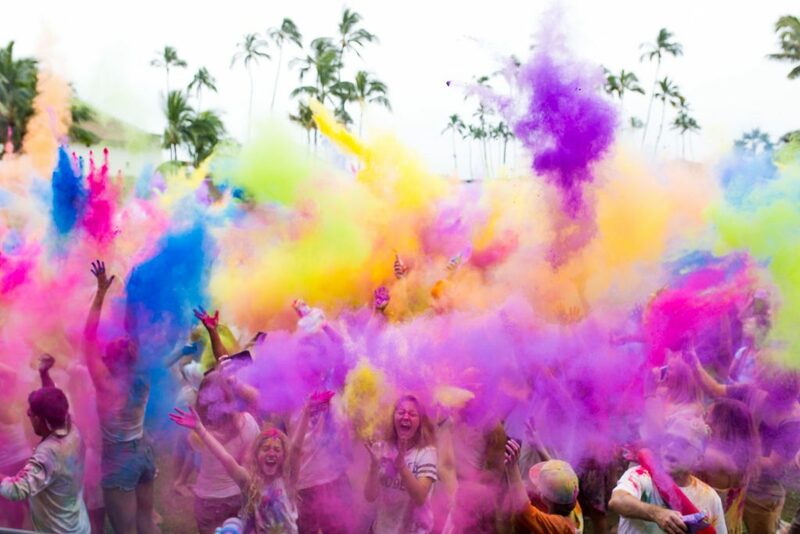 The event features energetic, non-stop live performances and lots of color. Color Festivals around the world have come to symbolize a fresh start and celebrate the coming of spring. This family-friendly music festival includes food trucks, vendors, and activities for kids and the climatic throwing of colors. The message behind the Color Festival Hawai‘i is “inclusion,” that we are all under the same rainbow, living and celebrating life together in harmony. Headlining the 2019 event will be Nashville native, singer/songwriter and music recordingartist, Rayland Baxter. Baxter‘s latest album, Wide Awake, was released with a tremendous splash by ATO Records on July 13. Baxter has built a career on capturing timeless and deeply human sentiments, bringing colorful characters to life with equal parts humor and pathos. His debut album, Feathers & Fishhooks, released in 2012, was a critical hit praised by Interview Magazine for its “well-worn maturity.” NPR described Yellow Eyes, the lead single from his 2015 follow up album, Imaginary Man, as “close-to-perfect,” and Rolling Stone hailed it as a “whimsical narrative with often deceptively complex arrangements.” His music earned Baxter festival appearances across the country, in addition to tours with an astonishing array of artists, including Jason Isbell, The Lumineers, and Lauryn Hill. Admission for adults is $20 pre-sale, $25 day of; Children 6 to 16 are $15; and Children ages 5 and under are free. Powdered colors are available for purchase inside the venue. Colors are made of cornstarch with FDA-approved food dye. No outside colors are permitted. Most participants wear pure white clothing that is then colored by the throwing of colors. Festival goers may also purchase an official event shirt to create the ultimate souvenir. Tickets will be available from the MACC Box Office beginning on March 1, 2019. 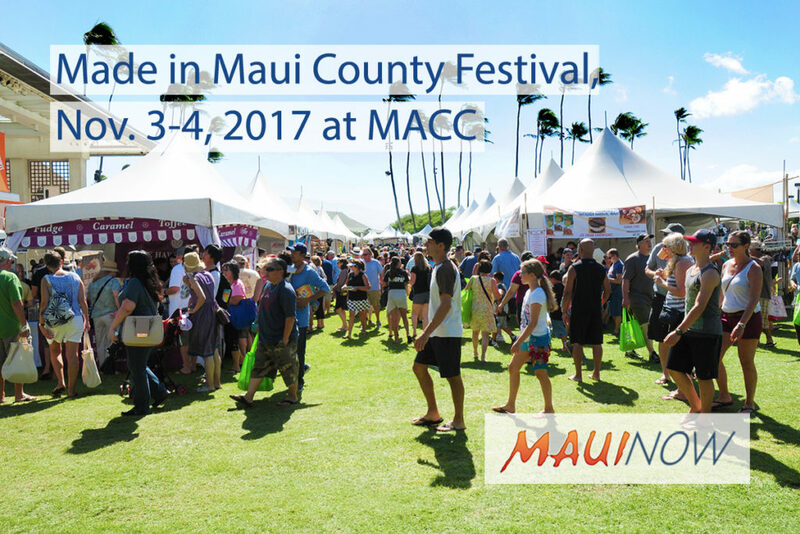 Made in Maui County Festival This Friday and Saturday!